Syn-Apps' Paging Relay is a small, patented PoE network appliance providing many features including unicast-to-multicast conversion, eliminating bandwidth intensive unicast streams across WAN connections. 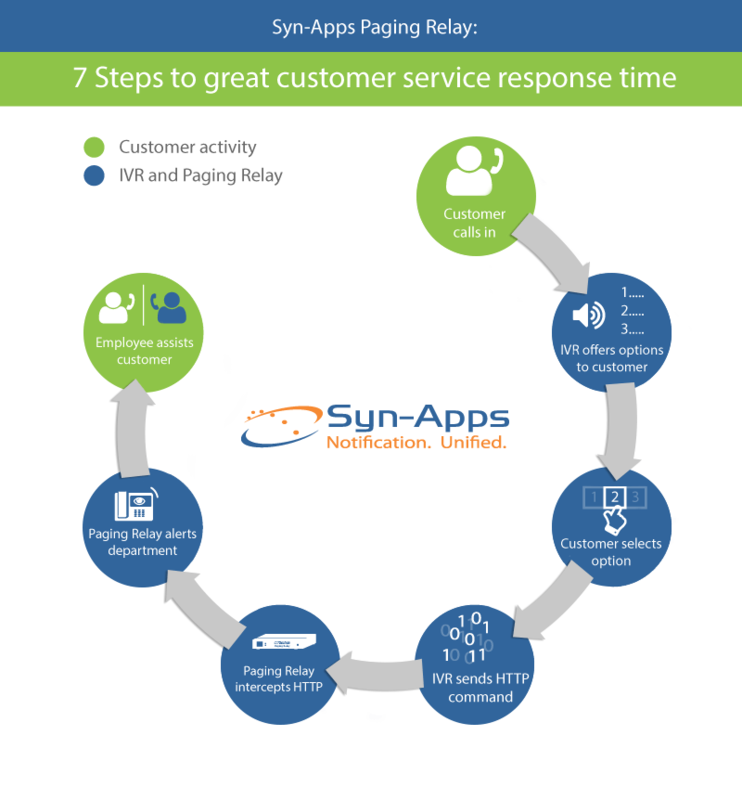 The Paging Relay also enables connectivity to analog endpoints, contact closure devices, alarm panels and more, providing seamless integration with Syn-Apps' notification software platform. This patented device allows Revolution notifications to be sent via unicast for multi-site, WAN-connected voice networks. The Paging Relay converts incoming unicast audio streams back to multicast at the destination site and delivers audio packets to the appropriate endpoints – phones, speakers or traditional PA systems – via IP, RCA or 600ohm interfaces. The Paging Relay is small enough to hold in one hand and features plug-and-play technology, making installation as simple as connecting an ethernet cable. This innovative product provides enhanced services at a fraction of the cost by eliminating the need to place notification servers at every remote site and requires virtually no configuration. The Paging Relay can significantly reduce bandwidth consumption by converting incoming unicast audio streams into multicast to destination sites across the WAN. This patented technology delivers crisp, intelligible audio to designated endpoints -- like IP phones, IP speakers, or traditional PA systems -- at a fraction of the cost. Check out this blog article to learn more! The Paging Relay has the ability to play background music and music on hold. Background Music - The Paging Relay accepts audio from any standard external device to stream music through IP or analog speakers. 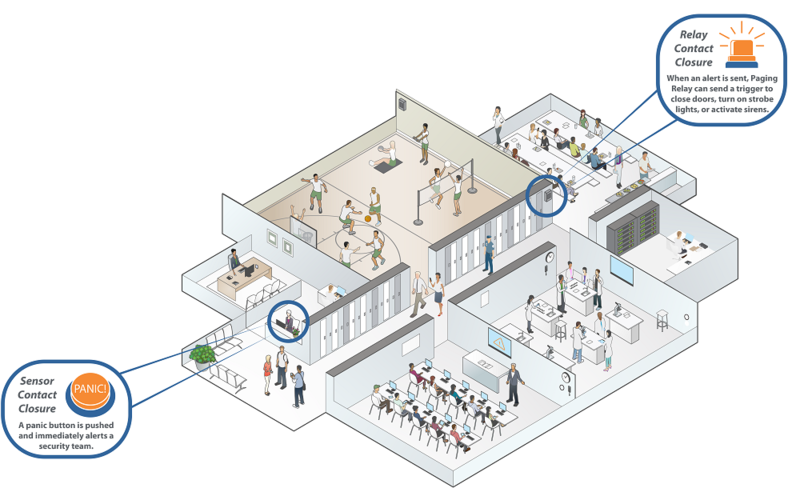 This is especially useful in common areas, like lobbies, hallways, waiting rooms, retail floors, and more. The device also includes an automatic gating feature that pauses background music when notifications are active and automatically resumes music when the alert is over. Music on Hold - The Paging Relay also has the option to set up music to be played when a call is placed on hold or when a call goes into a waiting queue. Relay Contact Closure - Used to interface Revolution software and the Paging Relay to third-party systems that require a contact closure to activate, such as accessing windows, sensors, lights, strobes and more. Sensor Contact Closure - Used to trigger the Paging Relay to play an audio file when an external switch closes its connection. Can also trigger Revolution to send a notification. Used to close doors and windows, and turn on lights and sirens when a specific Revolution notifications are activated. 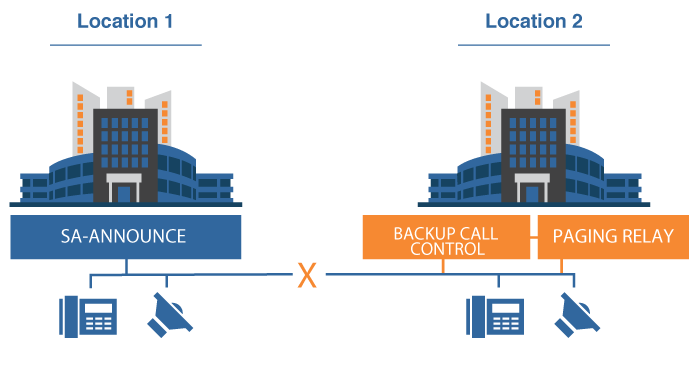 The Paging Relay's Remote Site Failover functionality provides true fault-tolerance protection in the event of a WAN outage. 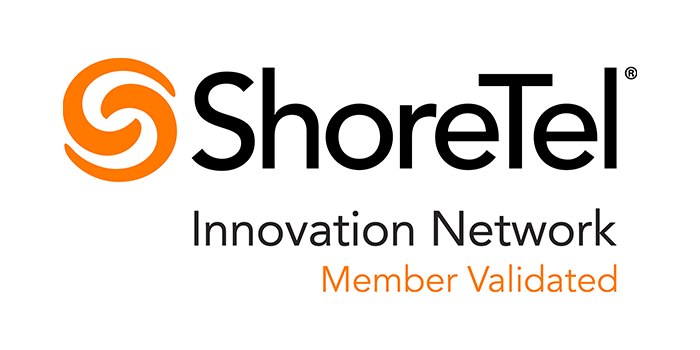 This feature is particularly beneficial for customers with remote locations that require connectivity at all times and need contingency communication plans in the event of network disruptions. 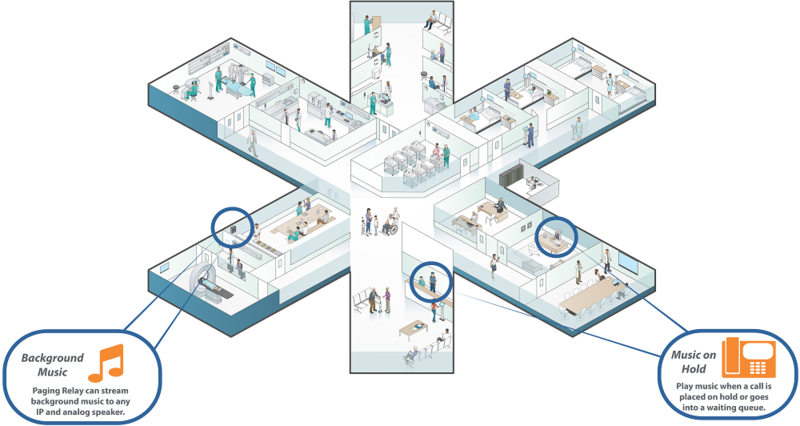 During normal operations, all notifications are answered by Revolution at the primary location (Location 1). 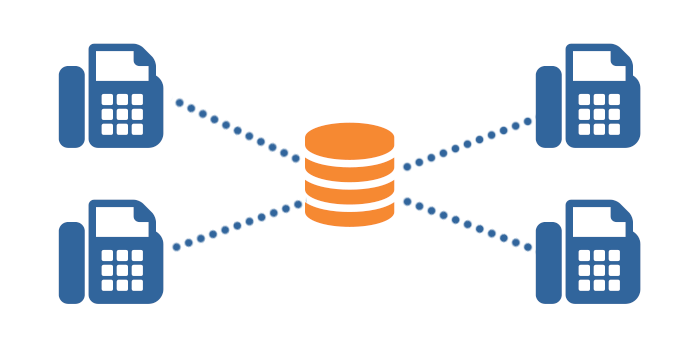 If a remote site experiences a wide area network outage and the Revolution server is not accessible, notifications are automatically routed to the Paging Relay locally via backup call control (Location 2). 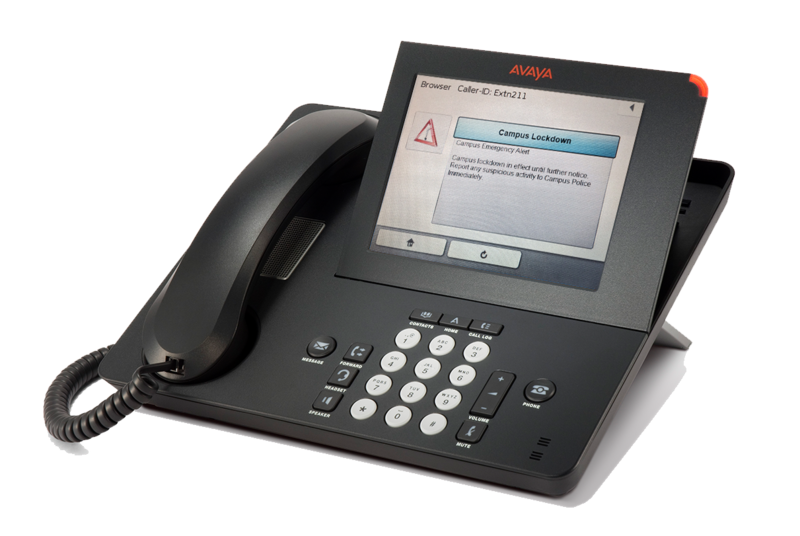 In active failover mode, users at the remote site can pick up a phone, dial the same pre-configured extension, reach the Paging Relay and broadcast a live page to supported IP phones, analog and IP speakers. 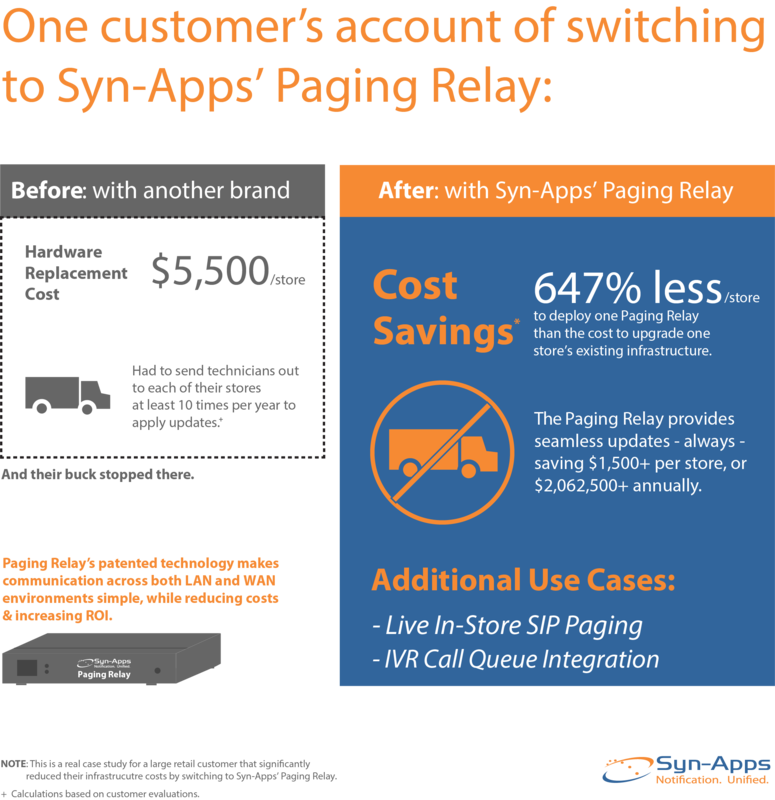 A large retail customer deployed Syn-Apps’ Paging Relay to help improve daily operations, reduce maintenance work, and enhance in-store communication. By integrating the Paging Relay with their IVR (interactive voice response) system, the customer was able to optimize and improve wait time for inbound calls by triggering overhead announcements for immediate response by in-store personnel. 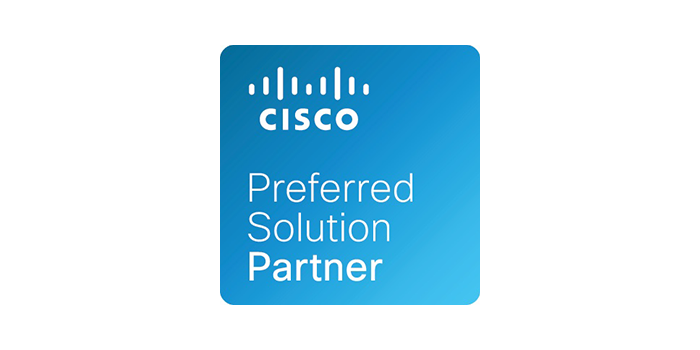 Syn-Apps is proud to support our notification solutions on a variety of UC systems. Whether alerting one individual of an isolated situation, or thousands of people of an emergency, we understand that reliable communication is critical to your organization. Regardless of your communication system today, Syn-Apps will be there to support your notification needs tomorrow. Select your system below to learn how Syn-Apps' solutions can be utilized in your environment.